THE LAND OF DOOM returns! What have we missed over the last two days? Just some waiting around--there's a lot of that in publishing. 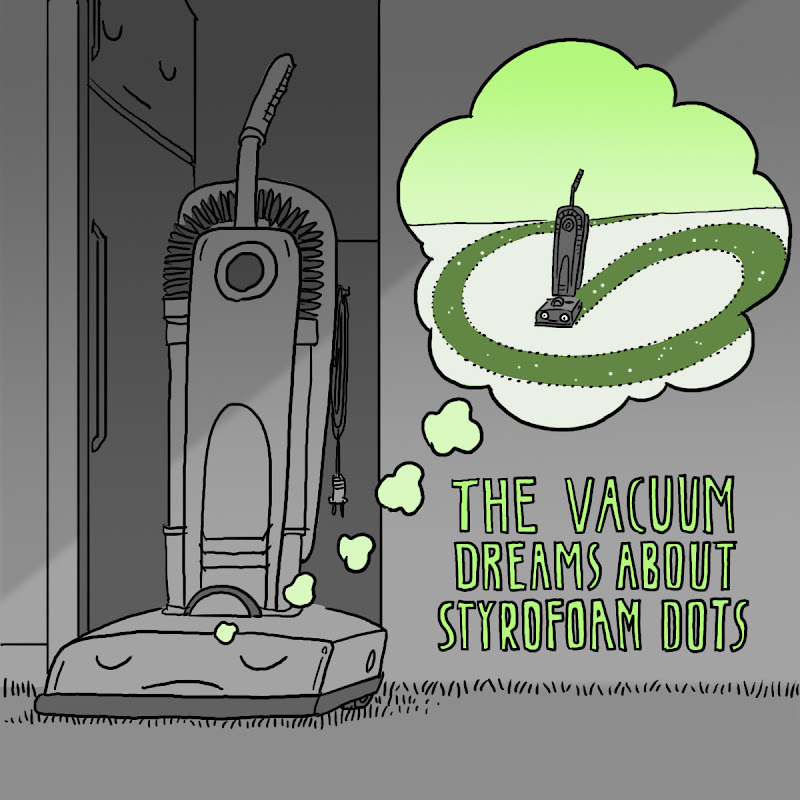 Title: "The Vacuum Dreams About Styrofoam Dots"
Synopsis: This is a quiet bedtime story, talking about household appliances and the dreams they have. Happy President's Day! What are you getting Lincoln this year? I got him a Snuggee, hope he likes it! Oh, also, I got a question a few days back about the custom avatars. They ARE going out, I'm about halfway through them. If you haven't gotten yours yet, just wait. I'll have them finished before the month is through. Thanks for your patience! I hope Lincoln likes his Snugee better than I liked mine! 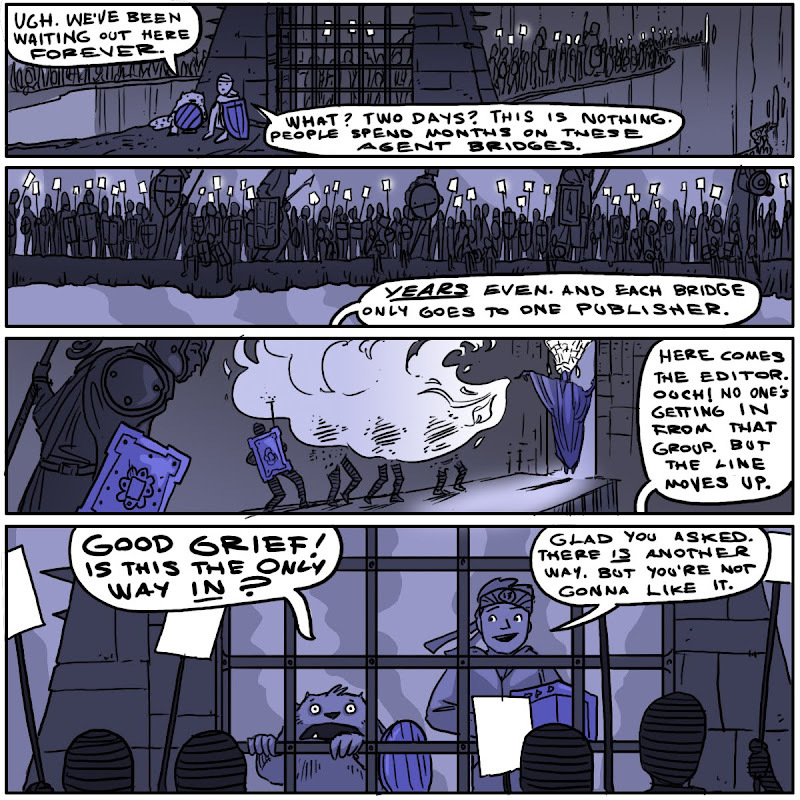 The Land of Publishing is getting scarier and scarier!! And yo! Love the new story, congrants on your followers, and YAY! Chuck's momentarily back! Hey E. Elf is back! I thought you'd moved away or something. I think this story is my favorite so far. No joke (possibly even more than the secret, codename: STAIRCOW book) It's written in verse and I really like it. Amanda--The land of Publishing is definitely a horror show. Mindy--Lincoln totally loved his Snuggee--I guess he doesn't have a dog that slobbers and rubs fur all over fleece blanket-y things.